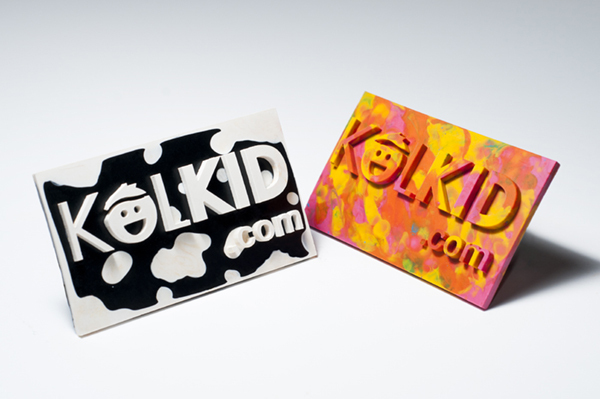 In 2015 I decided to make my business cards out of crayon! 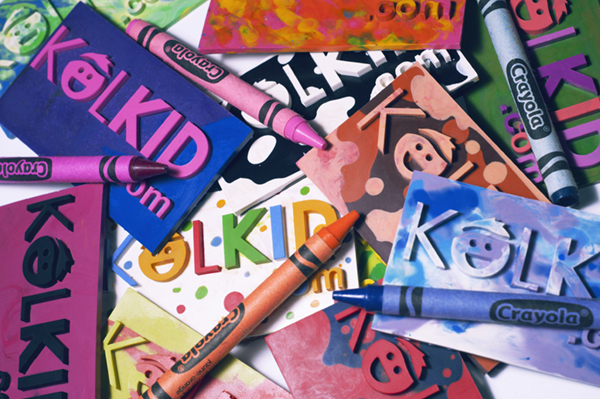 The entire card is made from solid crayon and you can draw with it. 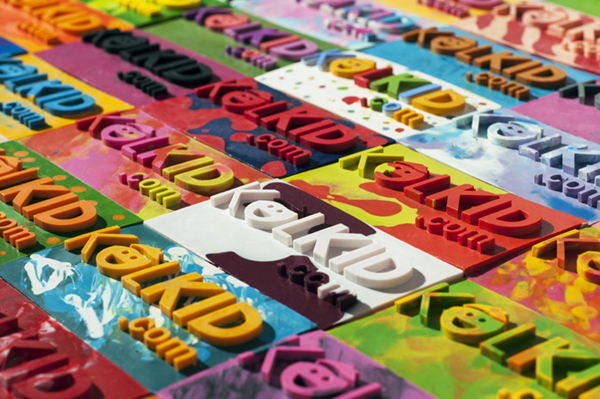 To create them, I started by getting the exact shape I wanted laser cut from acrylic, and then I created a rubber silicone mold from that. 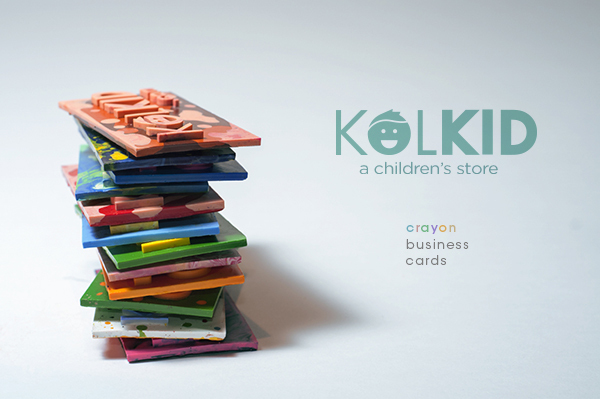 The idea was later used as an agency project where we created the business cards for a local Toronto toy shop, KolKid.